The Ethnographic Museum in Toruń came into being 1st January 1959. Its creatress and the first long-term manager was professor Maria Znamierowska-Prüfferowa, whom name, the museum has carried since 15th December 1999. The Ethnographic Museum in Torun is one out of three independent ethnographic museums in the country. It is the council institution of culture and it acts in the strength of museums act from the day 21st November 1996, and the Sejmik (the Sejm) of Kujawsko-Pomorskie Province is its organizer. The Museum is listed to the State Register of Museums. The Museum basic task is accumulating, scientific working out, storage, protection, conservation and making goods of culture available for people. The Museum also accumulates documentation materials concerning ethnology as well as related sciences. It also runs educational and publishing activity as well as it co-operates with organizations possessing similar aims. 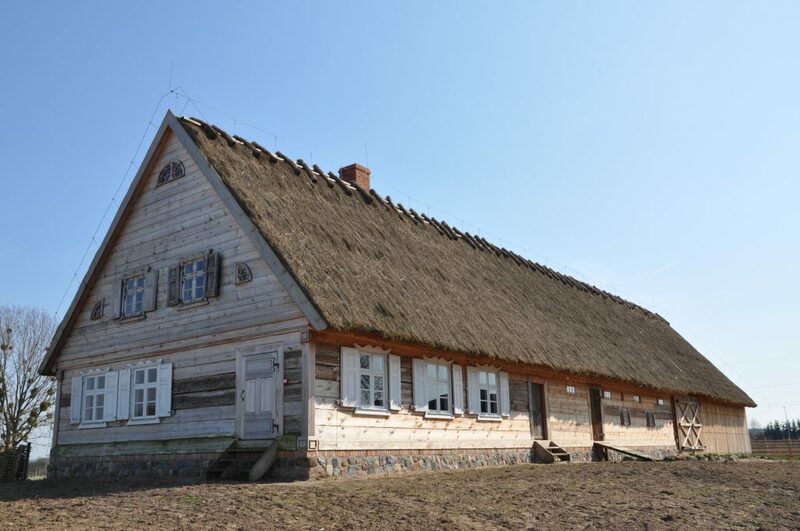 The range of the Ethnographic Museum in Toruń working is the area of whole Poland, taking especially the terrains of Kujawsko-Pomorskie Province into consideration. 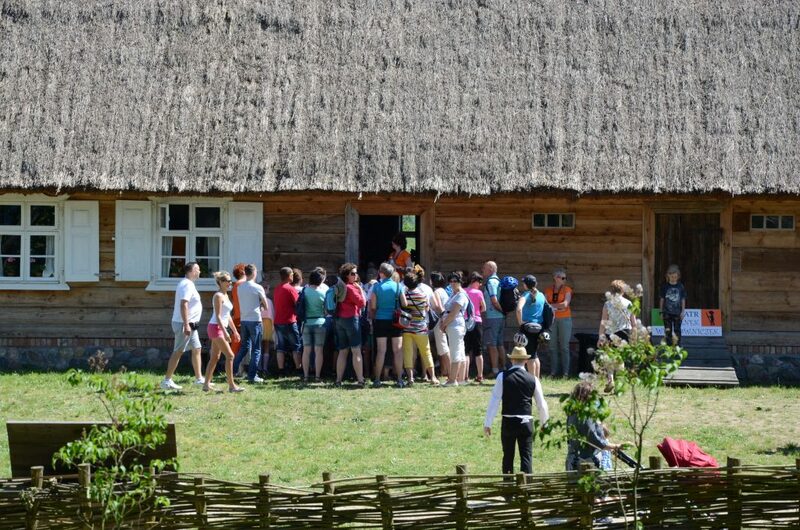 The Olender Ethnographic Park in Wielka Nieszawka (ul. 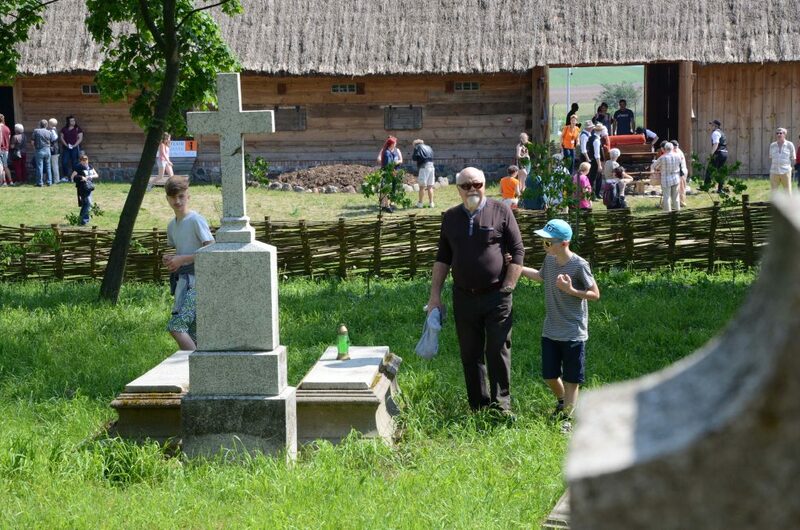 Mennonitów 14) is the first museum in Poland dedicated to Olender settlements developing since the sixteenth century. 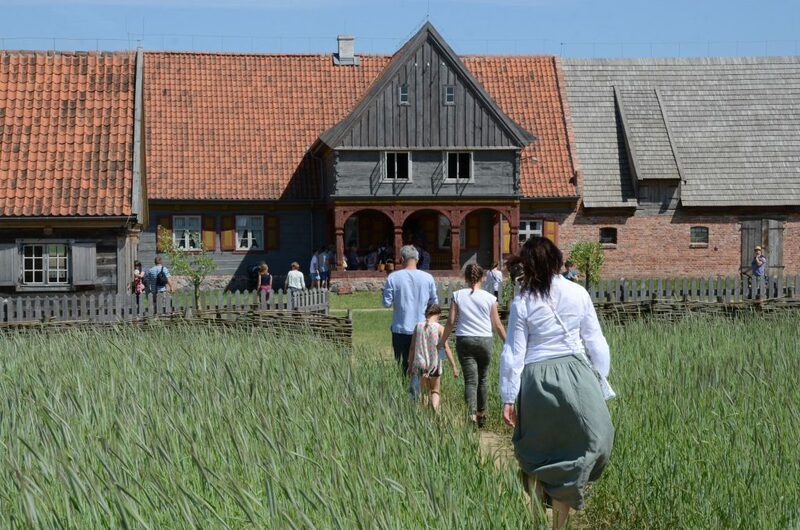 At first, these were the settlers from the Netherlands and Friesland – members of the Protestant Mennonite group who could freely profess their faith in the tolerant Kingdom of Poland. They settled on flood lands and barren lands from Zuławy up the Vistula river to Torun and further to Masovia. With time, the term olender/ oleder (Hollander) has lost its ethnic meaning and started to be also used in relation to other settlers – Germans (Protestants) and Poles (Catholics) who enjoyed the privileges based on the law system introduced originally for the settlers from the Netherlands. 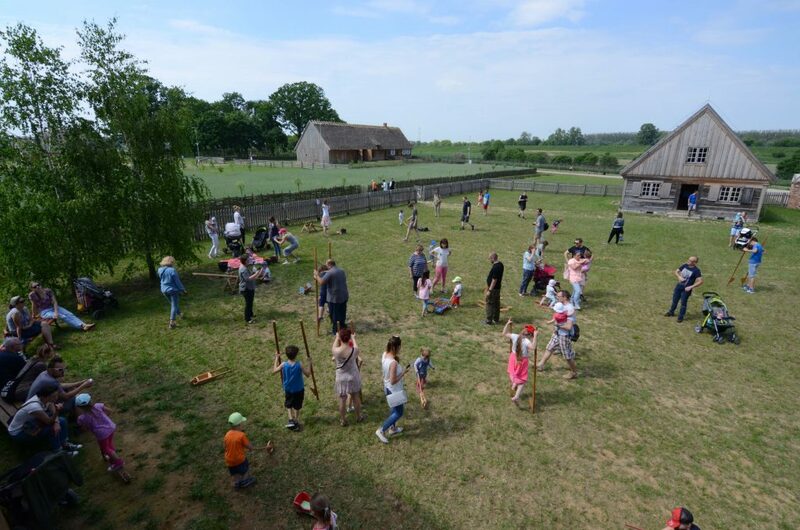 The main aim of the Park is to recreate a fragment of the cultural landscape of the Vistula village from the turn of the nineteenth and twentieth centuries. The area of over 5 ha is covered by a reconstructed Olender village of the most characteristic composition, so-called rzedówka bagienna [linear layout]. 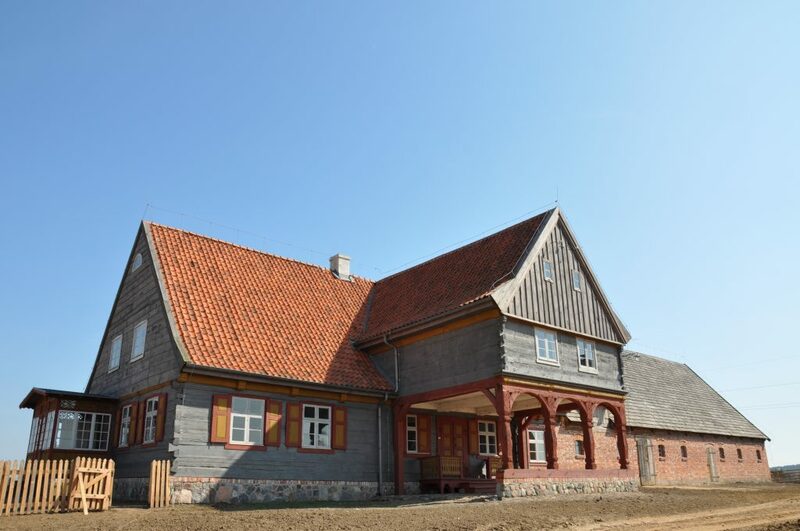 There are 3 full farms consisting of 6 historical dwelling and farm buildings. They have been transported from the area of Lower Vistula Valley and originate from the eighteenth and nineteenth centuries. These objects are the most valuable, preserved up to today, examples of architecture characteristic for Olender settlements. They are surrounded by farmlands, meadows, gardens and orchards. The road which connects the farms was planted with fruit trees, the dehydration channels with willows and the settlements with high farmhouse green. connected to fishing and water occupations. In the main site we also invite visitors to see the permanent exhibition entitled: “The secrets of everyday life. Folk culture and its borders from Kuyavia to the Baltic (1850-1950)” and various temporary exhibitions.